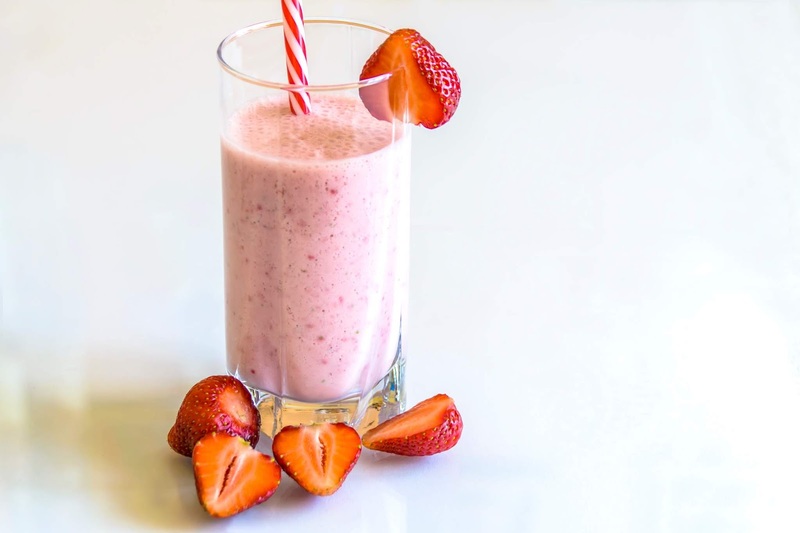 Banana and Strawberry is one of the best shake, as banana is full of proteins, carbohydrates whereas strawberry is full of vitamin C, antioxidants, fiber and many more nutrients in both of these fruits. Bananas are naturally free of fat, cholesterol and sodium. It provides a variety of vitamins and minerals. Strawberries are the top 20 fruits in antioxidant capacity and are a good source of manganese and potassium. About 8 strawberries in one serving provides more vitamin C than an orange. Mix all the ingredients in a blender till they get mixed and form a smoothie like mixture. And then, put the shake in a glass and garnish with chopped almonds.